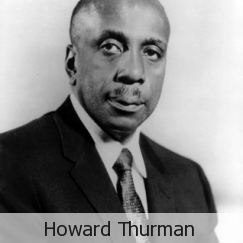 Howard Thurman is, I think, the person who has most influenced African American meditative and contemplative spirituality. Thurman is brilliant and deep, something that is always a deadly spiritual combination. He is Jesus-centered. And humble. Here is one who had real authority, who was used by God to influence many people, not the least of whom was Martin Luther King, Jr.
One of Thurman's quotes describes my Spiritual Formation class well. Thurman writes: “One of the great services that the Christian church can render to the community is to provide spells and spaces of quiet for the world-weary men and women whose needs are so desperate.” (HTEW, 57) This is what my class intends to do, not as a one-week experience, but as a lifetime spiritual habit. • To embody the Christian faith, rather than just head-know it. • To actually know Christ, not to merely know about Christ. Thurman was influenced by Quaker mystic, scholar, and social activist Rufus Jones. Luther Smith. Howard Thurman: The Mystic as Prophet. 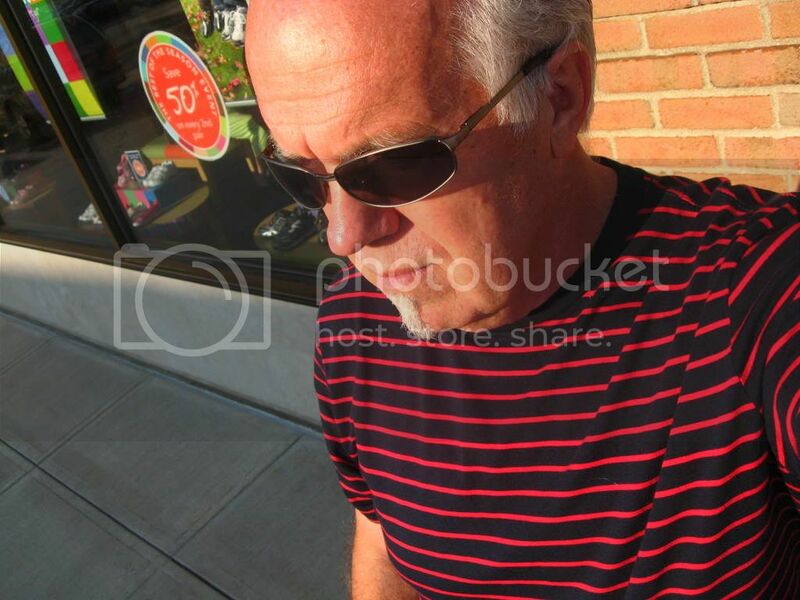 Walter Fluker. They Looked for a City: A Comparative Analysis of the Ideal ofCommunity in the Thought of Howard Thurman and Martin Luther King, Jr.
Howard Thurman. WithHead and Heart: The Autobiography of Howard Thurman. • Cultivate an ontology of the human spirit. • Nouwen – the deeper we go in persons, the more we are all the same. • In relation to spirituality, and spiritual formation/transformation/renewal/restoration…, this means: the deeper we go inside people the more we are all the same. • E.g. – when God deep-searches out my particular heart…, the ontological realities of my particular heart are the universal-ontological realities of the human heart. • Therefore, find the meaning of your own life. • Soul-research. Be yourself searched-out by God. • E.g. – if I played basketball. I engage in “training” so as to compete in the game. • The training, the “disciplines,” prepare me for the game. • Spiritual disciplines “train” the body and mind and spirit of a person. I think “commitment” and “surrender” are like: jumping out of the plane and trusting the parachute to open. It is a whole-being thing. • “Change manifest in structure” is: transformation. • Which will lead to changes in attitude and behavior. • It’s either deep change or slow death. • It’s either maturing or endless baby-hood. • It’s either dining on spiritual meat or drinking spiritual milk from the bottle. 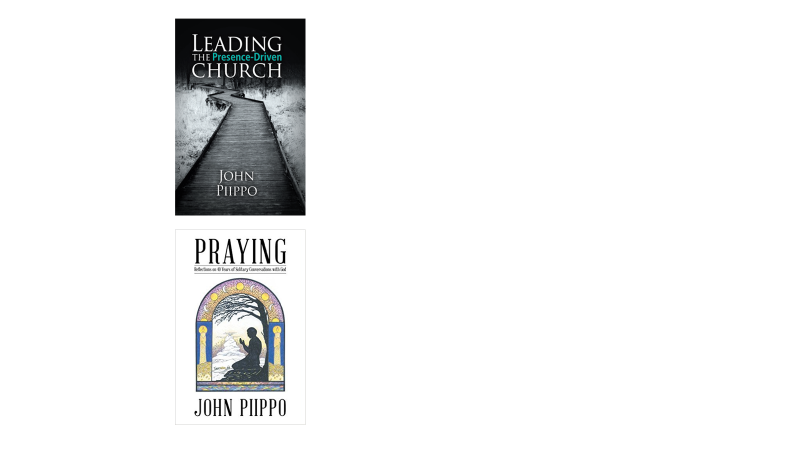 • Ongoing engagement in the spiritual disciplines prepares one for crises and failure. What HT says about “growth” sounds like what I mean by spiritual transformation; the pain of change. o Which means: some people are self-defined by their suffering. They are men and women of sorrows, and that is all. So to free them of their sufferings, to redeem them, would be to deprive them of their core identity. Such people resist the redemptive activity of God. They need their sufferings. They will feel they are a nobody should their being-abused cease. Prisonhood is their "normal"; freedom is abnormal and alien to them. Therefore one of the ways that people stay enchained and enslaved is that their chains define and delimit them. For such people to escape this horrible life-condition requires a revelation of their true self, their true identity, as children of God and made in God's image. Only then will they be horrified by their chains and suffering and cry out for release and redemption. • So… no metaphysical union; no essential union with God. • To meet God. To know God, and be known by God. • The constant need for NEW words from God. • For me, e.g., every Sunday is a “new Word” Sunday. • It’s all about the God-encounter that happens in religious experience. Jesus and the Disinherited is a beautiful, loving, and powerful book. It is Thurman’s most famous text. ...At first the quiet times might be quite barren or a retreat from exhaustion. One has to get used to the stillness even after it has been achieved. The time may be used for taking stock, for examining one's life direction, one's plans, one's relations, and the like. This in itself is most profitable. It is like cleaning out the closets, or the desk drawers, and getting things in order. I love how Thurman puts the idea of getting still in the presence of God. 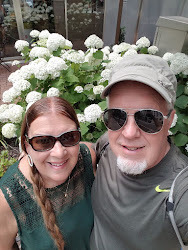 · Then... God breaks in, creativity happens, life results, energy gets restored, purpose gets defined, direction is given, transcendence takes over, and one communes (dwells/abides) with God.